Many people associate professional teeth whitening with movie stars and brides. But in fact, it’s an extremely popular procedure in cosmetic dentistry today. In the comfort of our Scarborough office, we provide teeth whitening services to help our patients achieve brighter, whiter smiles. Teeth have three main colours: yellow, orange and grey. Bleaching works best with yellow teeth and does not work well with grey teeth.  Bleaching works on the existing enamel on the tooth and will not work on porcelain or white fillings. When you visit our Scarborough office for teeth whitening services, you’ll get solid advice, professional care and the attention you deserve.